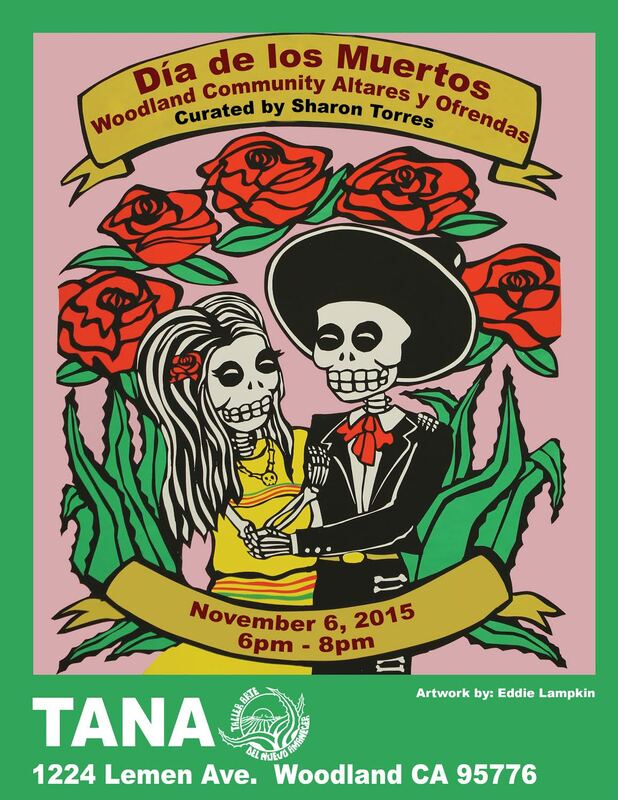 Join TANA for its annual Día de los Muertos celebration on Friday, November 6th from 6-8 pm. Artist and activist Sharon Torres has organized twenty community members to create altars for TANA’s gallery space. Many of the altars are dedicated to local community and family members who have recently passed away. Día de los Muertos pays tribute to their lives and contributions. We will also have an exciting program, featuring Danza Kalpulli Tlayolotl, Ballet Folkórico de Beamer, a Selena Tribute performed by Trio UCD, poetry by Francisco Alarcón, and spoken word by Ike Torres, music, as well as face painting and food. We look forward to seeing you there!